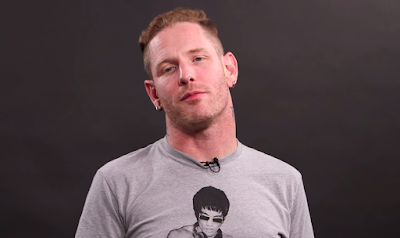 MetalRockNews: Corey Taylor: "I recorded nine or ten songs with Velvet Revolver"
Corey Taylor: "I recorded nine or ten songs with Velvet Revolver"
During the latest Loudwire's "Wikipedia: Fact Or Fiction? ", Slipknot and Stone Sour frontman Corey Taylor talked about the music that he wrote and recorded with Velvet Revolver. You can read some excerpts below. Corey said: "I think it was ten songs that I recorded with Velvet Revolver… I think it was… It's either nine or ten. There was a handful that we wrote, and then there was a handful that I kind of rearranged a little bit based on music that they already had. So it wasn't music that we kind of wrote together. I mean, there were, like, three… I think there was three songs that we wrote together, which were actually pretty sweet. And then the rest of it was me writing to music that they already had that I thought was pretty cool. Yeah, the world will probably never hear 'em, which is fine, because, I mean, I would want another crack at kind of working on some of that stuff anyway. But that will never happen, so it's…. You know, it's all good."